The Weekend Bang is back and on Friday this time. The day may have changed but the vibe is still the same as Sir Aaron Carter, and The real David Webb are joined by Aryn Rozelle for a special episode. 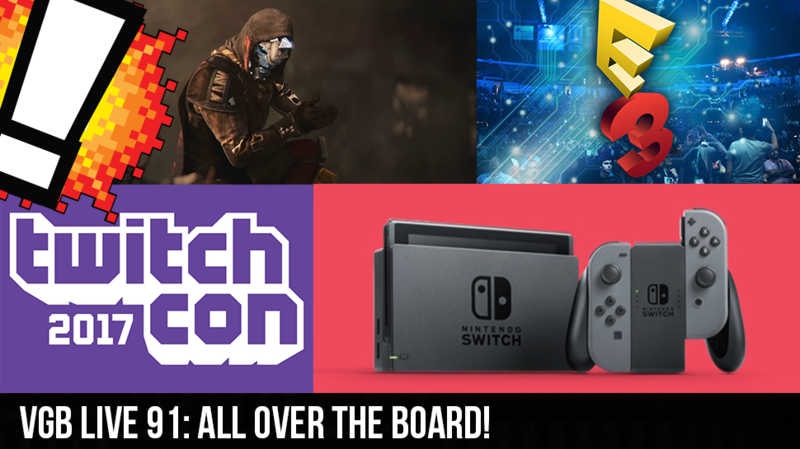 E3 is coming and we cant stop taking about it. From what we want to see to what we want to do, we cover it all. Then we get to some Banging around the web and cover the most gaming news we have in a long time. So much new i cant even explain it all on this bio. We wrap up the show with chat topics, where we pic the brain of the chat to see what they’re interested in. Will E3 be a hit? Can Destiny be a hit? Will Aryn be a hit? Find all that out and more on this weeks Weekend BANG!